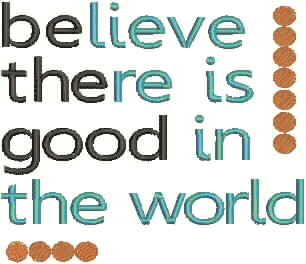 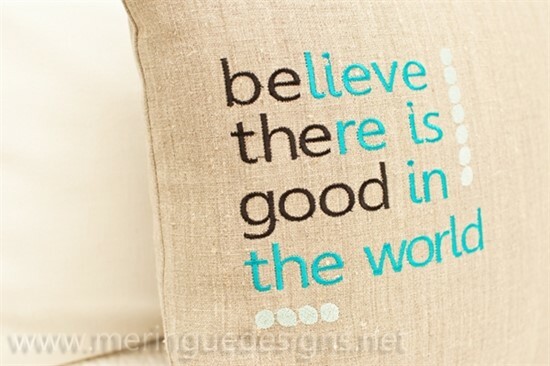 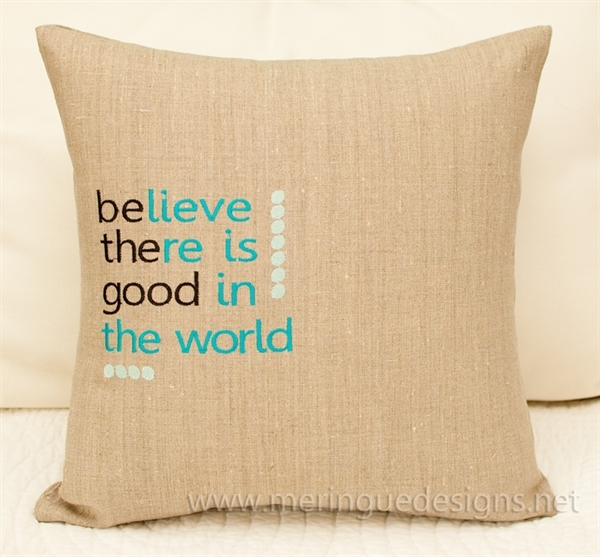 Be the good and Believe there is good. 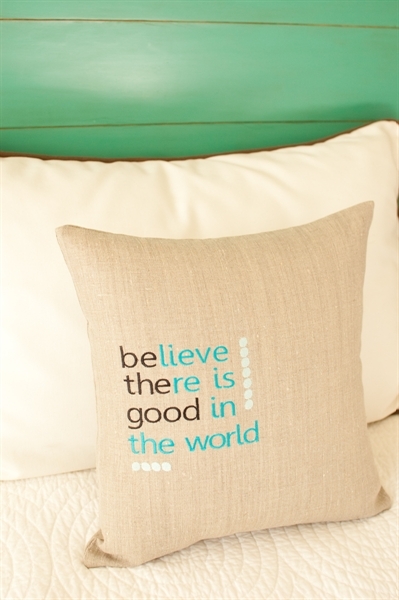 They go together, don't you think? 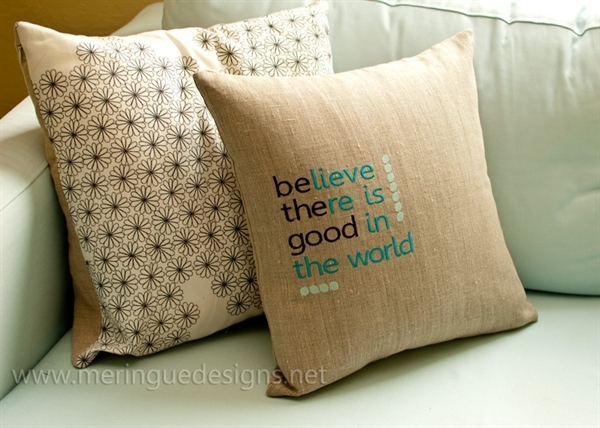 You can stitch this with the dots (as pictured on the pillow) or you use the files without the dots for a plain look or you can place your own picture in those blank spots.